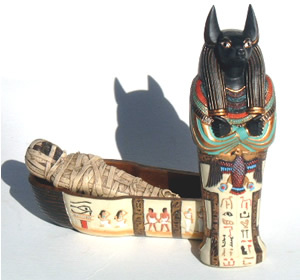 Egyptian Anubis Coffin opens to reveal a mummy inside. From the colors of the coffin to the details of the mummy, this is a great piece for any Egyptian collector. Measures 5"(L) Hand painted.